This week and next, over on the Bella Blvd blog, we're revealing our new Summer 2016 collections and products. There are five new Bella collections, three new Illustrated Faith collections, and a new release of Illustrated Faith basics as well. 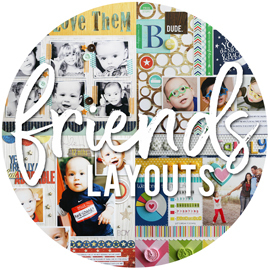 I’ll be sharing peeks at these collections here as well, along with some layouts that I created for the catalog. Along with revealing the new Addison collection yesterday, we also revealed the new Alex collection. This collection is geared towards teen boys, but just like the Addison collection, this collection can definitely work for boys of all ages. I worked with the Alex collection for one of the catalog layouts. Since I don't have boys of my own, I asked the talented Kelly Goree if I could borrow some photos of one of her boys. I mentioned that some of the pieces I had picked out to have printed had a music theme to them, and she came back with these fun photos of her youngest son. My plans for this layout started with the fun headphone patterned paper, the 3x4" "Rock Out" card from the Daily Details patterned paper, and the music notes from the Paper Pieces die cut package. I also knew that the grey arrow patterned paper would make a good background for the center of the page where I knew my photos would go. I also love this painted patterned paper, with the navy blue, aqua, and white. Once again, I used a mix of Chia Chip script words and the alpha stickers from the new sticker sheet for my title, mixed with a few Tiny Text alpha stickers. Because the grey alpha stickers didn't really stand out as much as I'd like (I tried them against all of the papers), I outlined them with a black pen. I had my photos adhered, along with the "Rock Out" card, across the grey arrow patterned paper. But then I spent pretty much forever and a day trying to figure out how to add the music notes to the page. I tried so many combinations, and none of them looked right to me. It wasn't until I pulled out my enamel dots and started sprinkling those across that center part of the page, and adding in the music notes, that I was finally happy with it. One of the new products in the new collections are the Tabbies. A package full of tabs! There has always been a few tabs on the sticker sheets, and in the Paper Pieces package, but I love that we'll have a full package of them to work with now. I picked out several of them to add to the tops of each patterned paper strip in the upper corner of the page. Head on over to the Bella Blvd blog to check out the new Alex collection in full, and get in on a chance to win-it-before-you-can-buy-it! First up, is the new Addison collection. 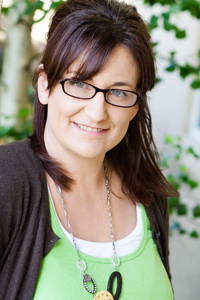 It's a collection geared towards teen girls, but could honestly be used for girls of all ages. There's some new products worked into all of the new collections that you'll want to check out. 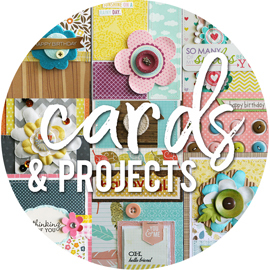 In addition to patterned papers, stickers, and die cut Paper Pieces, there are now Tabbies, Designer Clips, Washi Stickers, and a 6x8" paper pad that I think is going to be awesome for smaller projects. I think I've mentioned this before, but when doing catalog layouts, we are almost always working with mock up product. So we pick what papers we want the office to print out for us, hopefully having some sort of idea what we'll do with the pieces we picked. I knew right away that I wanted to use the feather patterned paper, and also the blue and black gingham patterned paper. From there, I also picked out the black and white polka dot, because I knew it would really pop against the other papers. For whatever reason, I only asked them to print me half a sheet of the black and white polka dot, and it wasn't big enough to mat under the photos and the pink patterned paper. So I had to get creative. I cut it up into smaller blocks of paper, machine stitched around the edges of each one, and then layered them under the pink patterned paper. So a little paper went a long ways. For my title, I used one of the Ciao Chip script words, along with some alpha stickers from the new sticker sheet. Because I had to fussy cut those alphas from a sheet of paper (mock up = no stickers, just paper), there was no way I could get the center of the letters to cut out nicely. So I added the enamel dots to the centers. Head on over to the Bella Blvd blog to check out the new Addison collection in full, and get in on a chance to win-it-before-you-can-buy-it! We're also revealing a second collection today, and I have a layout for that as well. I'll be sharing that one here tomorrow. Hey all! 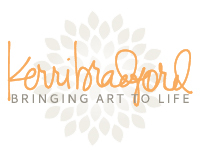 I had a new layout go up at Kerri Bradford Studio a few days ago, and am finally sitting down to share it here too. As crazy as it is to say this, my youngest daughter Sarah just got her drivers license. I can't believe my baby is out on the road. By herself. Without me. Eek. Anyways. I knew I had to document the moment, as it took her quite a bit longer then planned to be ready for that drivers test. I had taken quite a few photos over the last year and a half of her driving (while parked, at red lights, or at train stops - always safe! ), along with a few photos of her taking her required paid driving lessons. I picked out five photos to use, and printed them as 4x4" pics. 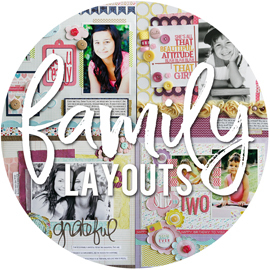 Because I had so many photos, I went with a white on white background for the rest of the page, incorporating a circle die cut background from Kerri's Background Basics kit into the base of my page. I added in very small amounts of patterned paper, with a few thin strips along the photos, and then using it for my title pieces as well. For my title, I picked out a fun brush script word from Kerri's Grammar School: The Adverbs kit to pair with the chunky letters from the Weathered Door Alpha kit. I originally cut the word "finally" from a blue patterned paper, but quickly realized that it would look so much better cut from cardstock instead. Hey everyone! I'm talking about birthday cards today over on the Bella Blvd blog. I don't know about you, but the cards that I need the most seem to be the cards that I never have on hand when I need them. At the top of that list is birthday cards. Once we hit May and June in this family, there are birthdays left and right, and I knew that I needed to replenish my stash if I was going to be prepared. When it comes to making birthday cards, I love coming up with a design that I can use for multiple cards - cards that I can mass produce and create assembly line style. I also love to keep these cards simple, and flat for the most part, since that makes them super easy to mail. Here's my masculine card - perfect for dads, brothers, grandpas, or any other guy on your list. Here's my feminine card - perfect for moms, sisters, grandmas, or any other gal on your list. Here's my card geared towards younger boys - although I think this could easily work for any age. Here's my card geared towards younger girls - although I think this could easily work for any age. And last, but not least, here's my card for teen girls - although this could work for any age as well. It just so happens that with two teenage girls of my own, a lot of teen girl birthdays come up around here. My favorite Clear Cut transparencies to use are the white ones. I may have mentioned this before, since I do use them quite a bit. I love to use a lot of white cardstock on my layouts, and the white transparencies layer over so nicely, adding a subtle look. For the base of the layout, I used the fun black and white polka dot patterned paper, and adding a smaller piece of the pink plus sign patterned paper along with my white cardstock. I printed my photos as a collage, since I knew they would be arranged side by side on the page. They're 3x4" photos, so you could also just print out three photos and use them individually across the page. 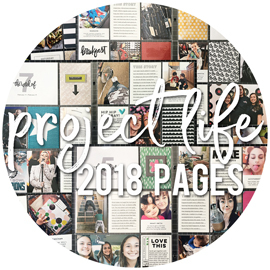 I picked out several patterned papers from the IF She Blooms collection to layer under my photos, pulling the colors from the die cut and chipboard flowers that I knew I would be embellishing the page with. I layered all of the patterned papers together, and adding my photo collage to the top, and then machine stitched around the edges of just the top patterned paper (the floral one). If my patterned paper layers were just a tad larger, I would have machine stitched around each layer of paper. I used the alphas from the Treasures & Text sticker sheet for my title, and added some black Tiny Text alpha stickers to a chipboard banner for my sub-title. I embellished the page with some of the flower die cuts from the Paper Pieces pack and a few chipboard flowers from the Chipboard Icons sheet. These flowers are so pretty all on their own, but it could also be fun to add some enamel dots to the centers of each flower. 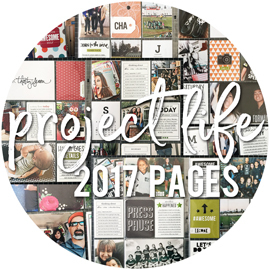 You can download the June project sheet, complete with supply list and detailed instructions, RIGHT HERE.